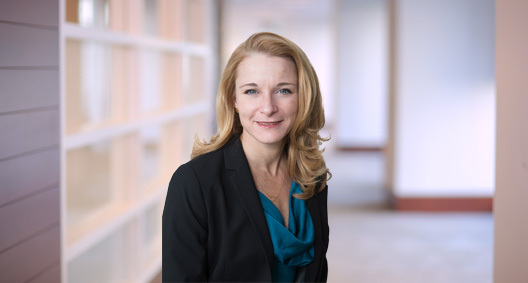 Marie Carlisle focuses her practice on commercial, energy, and environmental litigation. Previously a chemist for NASA and the environmental industry, Marie has the experience and technical knowledge to understand the needs of her environmental and energy industry clients. Part of team representing engineering services provider in a dispute over contracts involving fabrication and long-term use of drilling rigs. In addition to managing the documents produced by the parties, she played an integral role in working with and managing the depositions of experts, resulting in a favorable settlement for the client. Represented a Texas company in situations involving claims that former employees were in violation of provisions of their employment agreements. Instrumental in drafting cease and desist letters and temporary and permanent restraining orders to protect valuable proprietary and confidential information belonging to client. Matters were resolved with a return of client information and enforcement of all provisions of the employment agreements. Part of team representing healthcare supplier in multimillion-dollar contract dispute involving lease and service agreements. Involved in all aspects of the case, with a favorable dispositive ruling for the client resolving most of the issues before trial. Served as part of a team representing an engineering services provider in a dispute over contracts involving fabrication and long-term use of drilling rigs. In addition to managing the documents produced by the parties, she played an integral role in working with and managing the depositions of experts, resulting in a favorable settlement for the client. Represented a Texas company in situations involving claims that former employees were in violation of provisions of their employment agreements. Instrumental in drafting cease-and-desist letters and temporary and permanent restraining orders to protect valuable proprietary and confidential information belonging to the client. Matters were resolved with a return of client information and enforcement of all provisions of the employment agreements. Member of the BakerHostetler team serving as Counsel to the Securities Investor Protection Act (SIPA) Trustee for the liquidation of Bernard L. Madoff Investment Securities LLC. Served as part of a team representing a health care supplier in a multimillion-dollar contract dispute involving lease and service agreements. Involved in all aspects of the case, with a favorable dispositive ruling for the client resolving most of the issues before trial. Represented a global chemical distributor in a lawsuit where the client received a shipment that was outside the parties’ agreed specifications. Was involved in management of the review and production of a substantial number of documents and worked with experts in their analysis of the claims involved. The matter was settled in favor of the client.